The San Francisco Fire Department Neighborhood Emergency Response Team (NERT) is a community-based training program dedicated to a ‘neighbor-helping-neighbor’ approach. NERT is a FREE training program for individuals, neighborhood groups, and community-based organizations in San Francisco. Through this program, individuals will learn the basics of emergency preparedness. The training also includes hands-on disaster skills that will help individuals respond to a personal emergency as well as act as members of a neighborhood response team. A 2-day intensive program at USF! Saturdays 8:30 a.m. – 5:30 p.m. Call 415-970-2024 or go to class registration (http://www.sf-fire.org/index.aspx?page=865) and provide your name, phone number, and the location and start date of your preferred class. 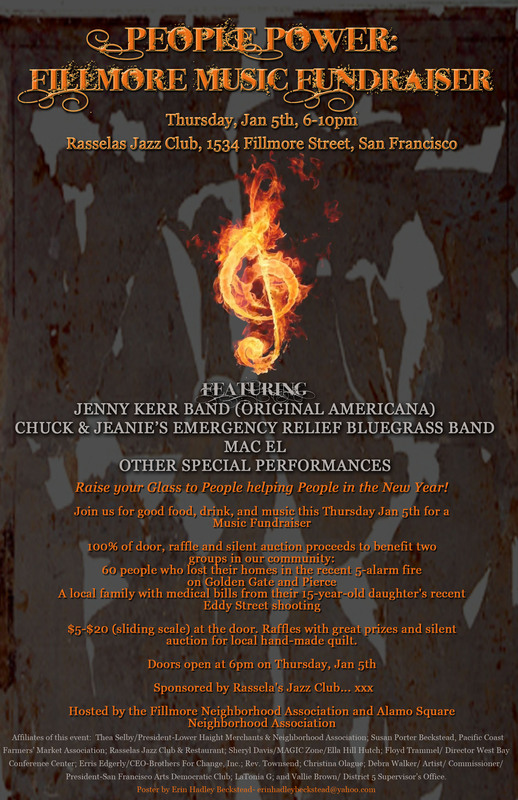 A complete schedule can be found at http://www.sf-fire.org/index.aspx?page=879. NERT certification is good for two years from the date of your training. You can renew your NERT training/ID by attending the afternoon session on February 4 (noon-5:30 p.m.) covering the 5th class session (NERT response) and the 6th and final hands-on class session that includes a review. Send an email to sffdnert@sfgov.org with RECERT in the subject line and list the class so your name can be placed on the sign-in roster. The SFFD ID machine was updated in 2007. If you have a white ID card, you will need to take a new photo during the 5th session. Please indicate this in your email. View the complete citywide NERT training schedule here. For more information, contact John Troccoe, USF emergency management consultant, at jatroccoe@usfca.edu or 415-422-4321. 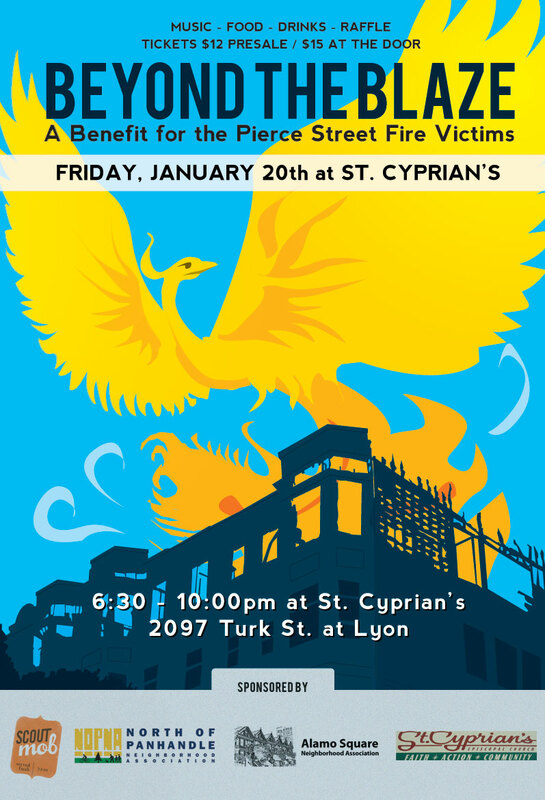 Thanks to our amazing neighbors, we raised over $4,000 in one night at our Beyond the Blaze fire relief fundraiser! Our grand total is now over $24,000! ASNA began to disburse the funds to the people displaced by the fire this week. Thank you all for your support! 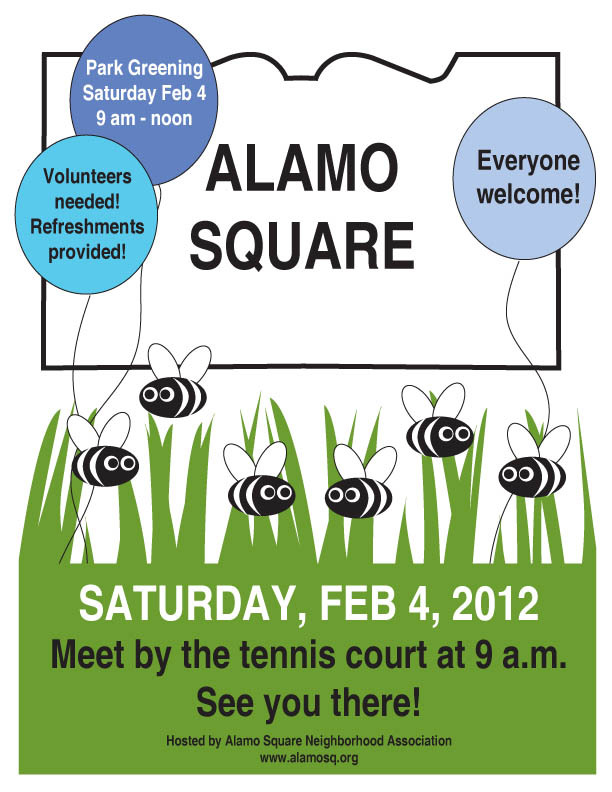 Please consider becoming a member of the Alamo Square Neighborhood Association. 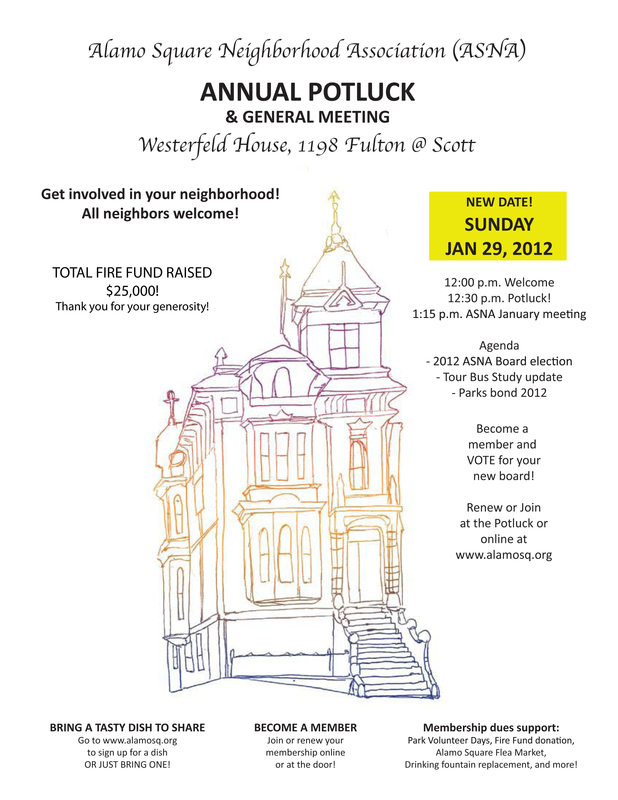 You can also bring your 2012 dues to the upcoming Annual Potluck on Sunday, January 29, 2012, at 12 p.m. Westerfeld House, 1198 Fulton at Scott Street. Hope to see you there! We are experiencing technical difficulties and will post the Tour Bus/Residential Permit Parking surveys soon. Thank you for your patience. In the meantime, please review the SFMTA Draft Alamo Square Tour Bus Study. We are trying to reschedule the upcoming Annual Potluck due to the 49ers game on Sunday, January 22. We’ll keep you posted. All neighbors are welcome to our Annual Potluck! Bring a Tasty Dish to Share! Get involved in your neighborhood! We will also be accepting Fire Fund Donations at this event! Email gus.hernandez@alamosq.org to sign up for a dish, or just bring one to the Potluck! The MTA delivered its Draft Tour Bus Study for Alamo Square in late December. The report includes ideas for further discussion to create a better balance of tour buses in the neighborhood. They include restricting buses of a particular size on specific streets, or restricting tour buses altogether. This would require public hearings and legislation from the SFMTA Board of Directors. Some level of environmental review would also be required to gauge the impact on nearby neighborhoods. Another idea would be to implement specific parking zones for tour buses, and to implement residential permit parking, which would result in more parking control officers in the area, citing buses for improper behavior. Contact erinne.morse@alamosq.org to join the Alamo Square Tour Bus Committee. We are only accepting donation items on the wishlist below at this time. Then, email gus.hernandez@alamosq.org to coordinate a pick-up or drop-off of your donation item. We will update the list as we get more requests. Thank you!! Mezuzah – Jewish artifact that’s placed at the front door. $5-$20 (sliding scale) at the door. Raise your glass to People helping People in the New Year! Sponsored by Rassela’s Jazz Club. HAPPY NEW YEARS!! !